Today was Day #12 of Chocolate and Peanuts Theme Week(s). This bar was made with gluten-free oats (thank you), and was also made with non-GMO ingredients. It contained only 5 grams of sugar and 14 grams of protein (grass-fed whey protein). 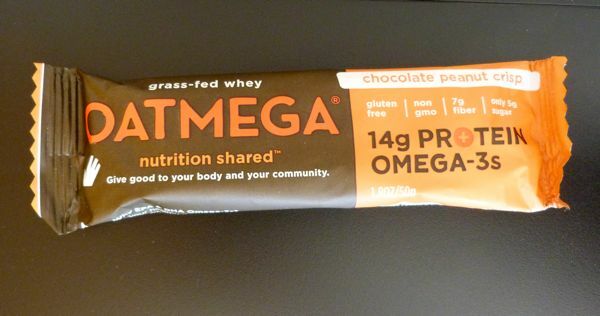 The Oatmega bar also contained EPA and DHA Omega-3 fatty acids ("derived from sustainable marine resources"). *Note: I don't expect a protein bar to look like an art bar. Both types of bars are usually carefully crafted by their makers, but with different audiences in mind. 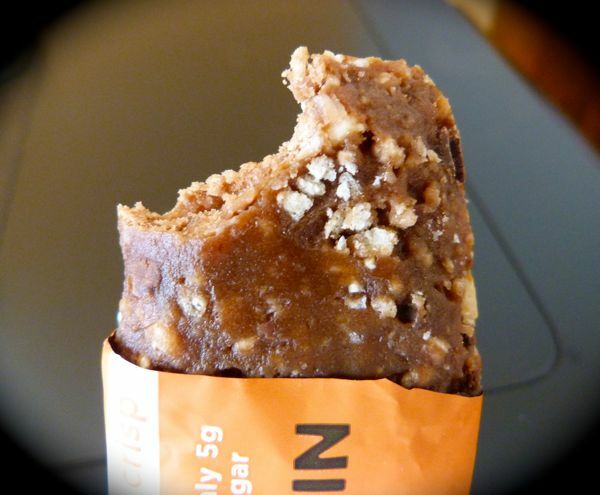 One bar may need to look "healthy" and not melt on a hike or during a work-out; and another bar may need to look "pretty" and have volatile flavor elements and texture that need preserving in a cool, dark place. The wonderful thing is that chocolate is so versatile there is room for it to exist in many forms. More on this tomorrow, when I talk about how I evaluate chocolates across many different categories.